Despite a small turn-out those who came had an enjoyable day exploring the small woods and rough grasslands above Woollas Hall on Bredon Hill. 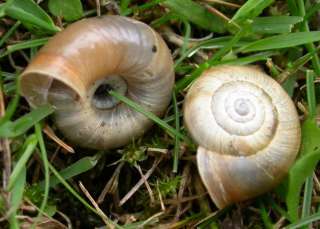 We are most grateful to Mark Steele for permission to search for molluscs on his land. 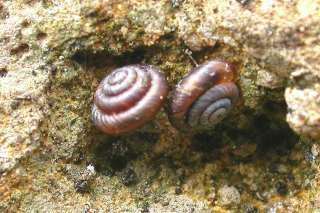 Most of the snails typical of calcareous pastures were found. 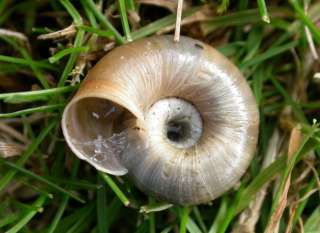 When appropriate S = shell, L = live animal. Fossils and sub-fossil records in square brackets. 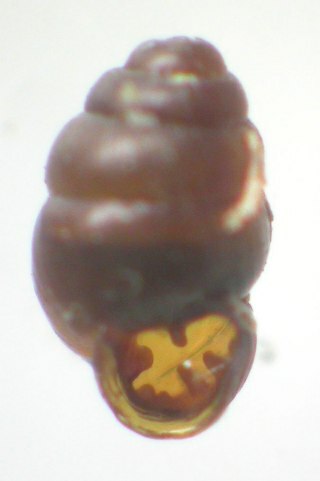 Larger shell about 4 mm long Pyramidula rupestris. 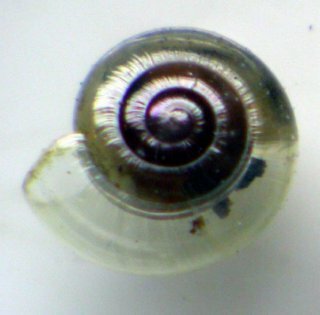 Shell about 3 mm diam. 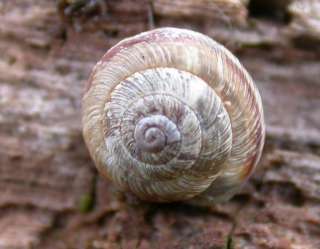 Shell about 3.5 mm diam. SO954401 North-facing slope of longish rough grassland with slumps. 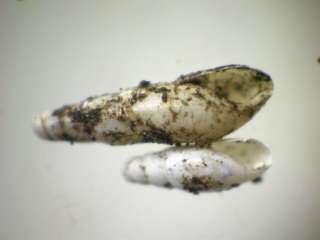 Helicella itala L. Many live ones. At least 50 on grassland lower down mostly associated with fallen dead inflorescences of Nodding Thistles. Unusually for this species very few dead shells found. Helix aspersa L in car park SO945410 Woollas Hall!